CGR International School has world-class infrastructure for the complete learning experience. 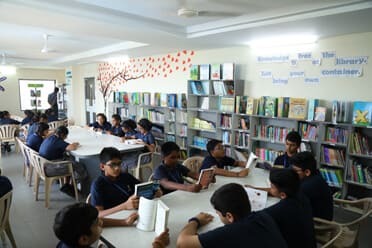 Apart from spacious classrooms, CGR offers multi-faceted array of facilities that enhance the way children learn, play and interact. Communication skills are vital in this emerging global world through inter-connectivity with technology. Therefore, we have installed 30 computers enabled with high speed Wi-Fi. 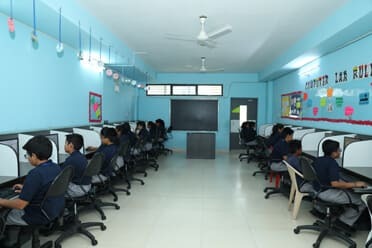 Students are offered an updated 21st century curriculum which ranges from App Development to IOT( Internet of Things) to help them stay in sync with the latest technology and be future ready! 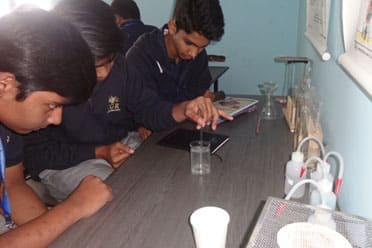 Supported by a state-of-the-art laboratory, the CGR curriculum focuses on application based learning in Science that is at par with the latest trends. It enables our students to apply theories and concepts in a stimulating learning environment. The CGR Library is equipped with a vast collection of books which cover all genres. In addition, it also has daily newspapers, magazines and periodicals. The passion for reading is imbibed at an early age. Students are encouraged to submit Book Reports and are also given due recognition in the form of Awards and Rewards. Sports is an integral part of the CGR curriculum because we believe that successful students are balanced students. We make sure each of our students is a part of sporting activities that are offered like – Badminton, Basket Ball, Kho-Kho so on to develop not only the skill of a sport but also to inculcate the spirit of sportsmanship. Inter school tournaments and Intra house tournaments make Sports @ CGR very competitive! 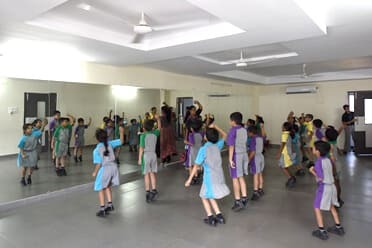 Music and dance are introduced with the intention of identifying the latent talent in our students and also instil in them a love for the finer pursuits in life. Students could either take it up as a career option or just use it as tools for relaxation and enjoyment. So, here’s to singing away the joys and sorrows life has to offer! 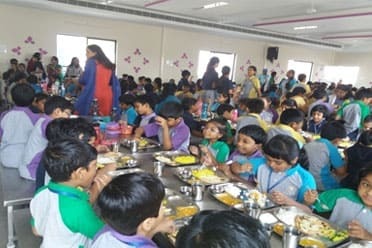 Nutritious multi-cuisine food served at our Cafeteria ensures wholesome and delectable meals. Our dining area is spacious and clean and is also air conditioned. It is also a place where our students and teachers bond outside of the classroom. Our buses are well-connected to all parts of the city and are equipped with highly trained staff to regulate the discipline and safety of the students. An effective GPS is installed in all buses for accurate tracking and SMS alerts to parents for constant location updates.